Formerly known as Osgood Point, this city park offers great views Clam Bayou Estuary and Boca Ciega Bay. 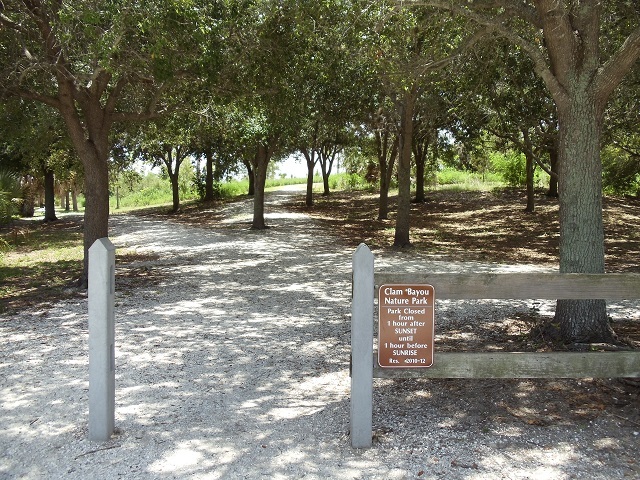 The park’s well-groomed trails are paved with shell rock; boardwalks and paths lead to seven different observation decks/docks overlooking the mangrove-lined lagoons. Expect typical wintering ducks (such as Lesser Scaup and Red-breasted Merganser) and waterbirds like Horned Grebe and Common Loon on the open water. Watch for fishing Osprey as well as Caspian, Sandwich and Forster’s Terns. Scan the mangrove edges forwading birds like Wood Stork, Little Blue Heron, Reddish Egret, Yellow-crowned Night-Heron and Roseate Spoonbill. The mudflats are a good place to look for migratory shorebirds like Whimbrel, Spotted Sandpiper, Marbled Godwit, Red Knot, Short-billed Dowitcher and Dunlin. Common Ground-Dove, Downy Woodpecker and Prairie Warbler can be found in the coastal scrub and hardwood/palm hammocks; Nelson’s Sparrows have been found wintering. Check overhead for Cooper’s Hawk and the occasional Broad-winged and Short-tailed Hawks. Launch your canoe or kayak and paddle around the mangrove islands or tour the open waters of the bay; watch for dolphins and manatees along the way.